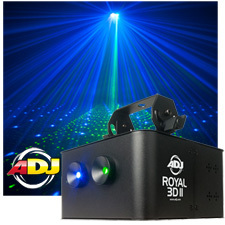 1/2 Price Sale on Lasers, laser light shows, laser widows and laser lights for DJ's, clubs and parties. 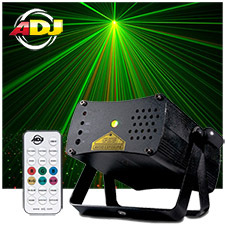 Fog Machine Laser Combo - Red - Green Laser and 500 Watt Fog Machine in one unit. A LASER (acronym for Light Amplification by Stimulated Emission of Radiation) is an optical source that emits photons in a coherent beam. 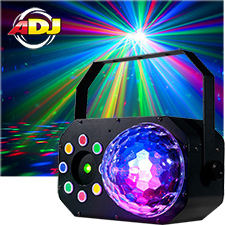 The term has since entered the English language as a standard word, laser, losing the capitalization in the process. 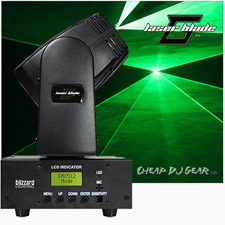 The back-formed verb lase means "to produce laser light" or "to apply laser light to". 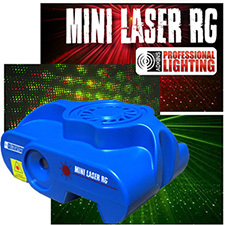 In analogy with optical lasers, a device which produces any particles or electromagnetic radiation in a coherent state is also called a "laser", usually with indication of type of particle as prefix (for example, atom laser.) In most cases, "laser" refers to a source of coherent photons, i.e. light or other electromagnetic radiation. 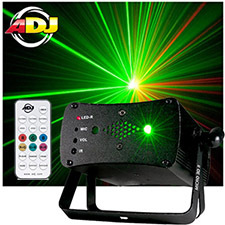 Laser light is typically near-monochromatic, i.e., consisting of a single wavelength or color, and emitted in a narrow beam. This contrasts with common light sources, such as the incandescent light bulb, which emit incoherent photons in almost all directions, usually over a wide spectrum of wavelengths. Laser action is explained by the theories of quantum mechanics and thermodynamics. Many materials have been found to have the required characteristics to form the laser gain medium needed to power a laser, and these have led to the invention of many types of lasers with different characteristics suitable for different applications. The laser was proposed as a variation of the maser principle in the late 1950s, and the first laser was demonstrated in 1960. 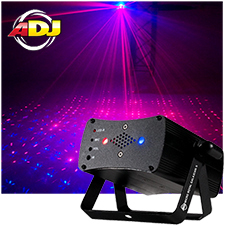 Since that time, laser manufacture has become a multi-billion dollar industry, and the laser has found applications in fields including science, the defense industry, industry, medicine, and consumer electronics. 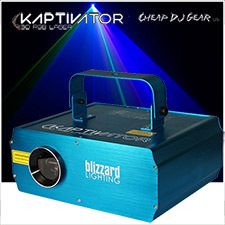 A laser is composed of an active laser medium, or gain medium, and a resonant optical cavity. 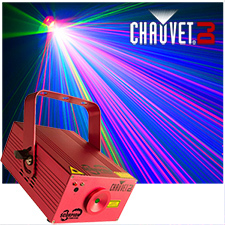 The gain medium transfers external energy into the laser beam. It is a material of controlled purity, size, and shape, which amplifies the beam by the quantum mechanical process of stimulated emission, discovered by Albert Einstein while researching the photoelectric effect. The gain medium is energized, or pumped, by an external energy source. Examples of pump sources include electricity and light, for example from a flash lamp or from another laser. The pump energy is absorbed by the laser medium, placing some of its particles into high-energy ("excited") quantum states. When the number of particles in one excited state exceeds the number of particles in some lower-energy state, population inversion is achieved. In this condition, an optical beam passing through the medium produces more stimulated emission than the stimulated absorption, so the beam is amplified. An excited laser medium can also function as an optical amplifier. The light generated by stimulated emission is very similar to the input signal in terms of wavelength, phase, and polarization. This gives laser light its characteristic coherence, and allows it to maintain the uniform polarization and monochromaticity established by the optical cavity design. The optical cavity, an example of a type of cavity resonator, contains a coherent beam of light between reflective surfaces so that each photon passes through the gain medium more than once before it is emitted from the output aperture or lost to diffraction or absorption. 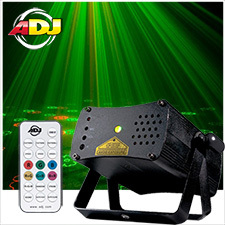 As light circulates through the cavity, passing through the gain medium, if the gain (amplification) in the medium is stronger than the resonator losses, the power of the circulating light can rise exponentially. But each stimulated emission event returns a particle from its excited state to the ground state, reducing the capacity of the gain medium for further amplification. When this effect becomes strong, the gain is said to be saturated. The balance of pump power against gain saturation and cavity losses produces an equilibrium value of the intracavity laser power; this equilibrium determines the operating point of the laser. If the chosen pump power is too small, the gain is not sufficient to overcome the resonator losses, and the laser will emit only very small light powers. The minimum pump power needed to begin laser action is called the lasing threshold. The gain medium will amplify any photons passing through it, regardless of direction; but only the photons aligned with the cavity manage to pass more than once through the medium and so have significant amplification. The beam in the cavity and the output beam of the laser, if they occur in free space rather than waveguides (as in an optical fiber laser), are often Gaussian beams. If the beam is not a pure Gaussian shape, the transverse modes of the beam may be analyzed as a superposition of Hermite-Gaussian or Laguerre-Gaussian beams. The beam may be highly collimated, that is, having a very small beam divergence, but a perfectly collimated beam cannot be created, due to diffraction. 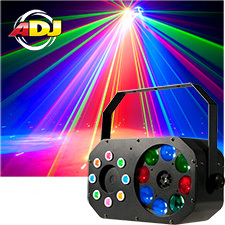 But a laser beam will spread much less than a beam of incoherent light. The beam remains collimated over a distance which varies with the square of the beam diameter, and eventually diverges at an angle which varies inversely with the beam diameter. Thus, a beam generated by a small laboratory laser such as a helium-neon laser spreads to about 1.6 kilometres (1 mile) diameter if shone from the Earth to the Moon. By comparison, the output of a typical semiconductor laser, due to its small diameter, diverges almost as soon as it leaves the aperture, at an angle of anything up to 50°. However, such a divergent beam can be transformed into a collimated beam by means of a lens. In contrast, the light from non-laser light sources cannot be collimated by optics as well or much. The output of a laser may be a continuous constant-amplitude output (known as CW or continuous wave); or pulsed, by using the techniques of Q-switching, modelocking, or gain-switching. In pulsed operation, much higher peak powers can be achieved. 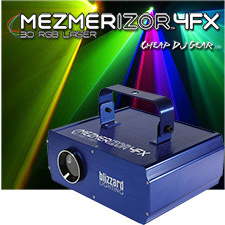 Some types of lasers, such as dye lasers and vibronic solid-state lasers can produce light over a broad range of wavelengths; this property makes them suitable for generating extremely short pulses of light, on the order of a femtosecond (10-15 s). Though the laser phenomenon was discovered with the help of quantum physics, it is not essentially more quantum mechanical than are other sources of light. The operation of a free electron laser can be explained without reference to quantum mechanics. It should be understood that the word light in the acronym Light Amplification by Stimulated Emission of Radiation is typically used in the expansive sense, as photons of any energy; it is not limited to photons in the visible spectrum. Hence there are X-ray lasers, infrared lasers, ultraviolet lasers, etc. For example a source of atoms in a coherent state can be called atom laser. Copyright © 2016 Importers Direct LLC. Ecommerce Website By Volusion.